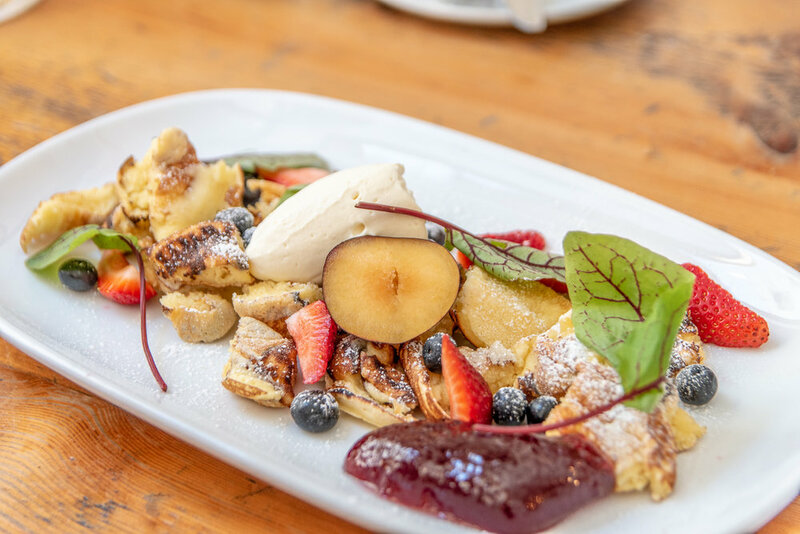 Hofbrauhaus in Melbourne CBD has recently introduced a new German Brunch. From the end of March you can now get your German style breakfast at Hofbrauhaus every Sunday 11-3pm in the Alpine Bar. To share we recommend the Fruhstucksplatte. This is one stunning traditional breakfast which boasts a selection of cold cut meats, Alpine and Swiss cheese, boiled egg, Obatzda, pickled vegetables, German farmers salami, liverwurst and crusty German rye bread. A German meal would of course be incomplete without some of their moreish sausages. 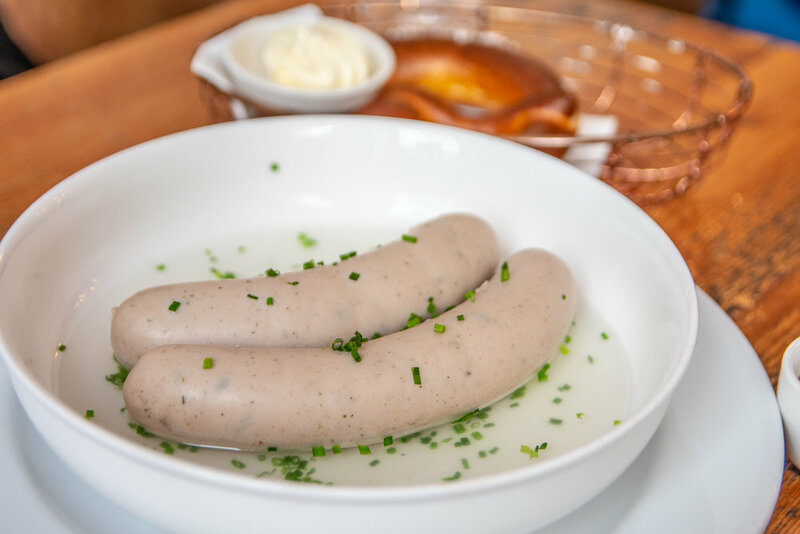 The Weisswurst Fruhstuck is a traditional breakfast sausage served in a poaching broth with a freshly baked Bretzel and sweet Bavarian mustard. It’s a much lighter dish then the usual German sausages Melbourne is accustomed to but equally as delicious. 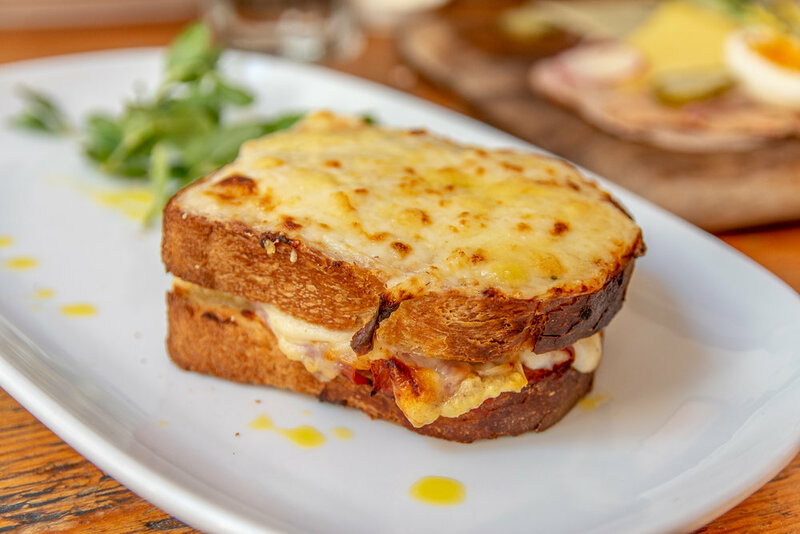 For something simple yet simply delicious, we recommend the Schinken-Kase Sandwich – Think melted Mountain Glacier cheese with béchamel and Prager ham all sandwiched between crusty sourdough and toasted to perfection. The German brunch menu also has plenty of vegetarian options. The Schwammerl Fruhstuck is a crowd pleaser! We loved the beautiful Woodland mushrooms that had been pan fried in cultured butter and served with poached eggs encasing dripping yolk atop sourdough bread. 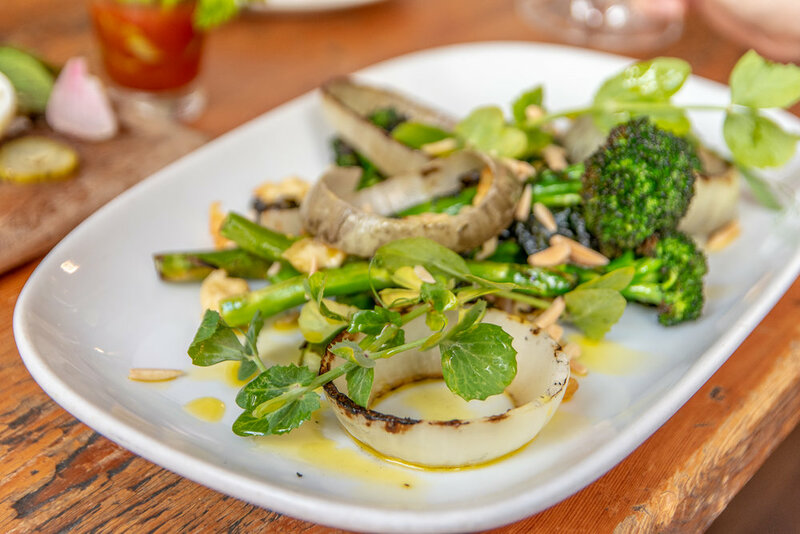 The Garten Fruhstuck was similarly delicious and is a nutrient dense plate of grilled broccolini with puffed Spatzle, onions, house made pickles and toasted almonds. To finish your visit to Hofbrauhaus on a sweet note, do not go past the Kaiserscharmarrn and the Krapfen. The Kaiserscharmarrn (the result of a historical pancake accident) is a delightful and fresh dish of shredded pancake adorned with fresh berries, plum jam and whipped cream. The Krapfen on the other hand is a dish of house made warm doughuts with vanilla sauce and plum compote. Sheer pleasure! To wash down the delectable brunch menu, expect a great selection of cocktails to keep you satiated.